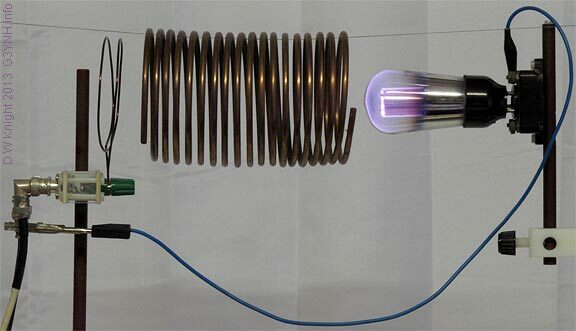 Glow discharge in the bulk gas is obtained by subjecting the tube to the strong electric field of a self-resonating coil. The coil shown here is resonating at about at 25 MHz, slightly lower than its natural frequency due to the stray capacitance of nearby objects. 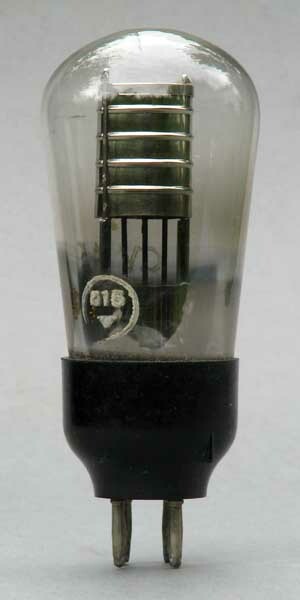 The cathode (outer electrode) of the tube has been earthed to the shield of one of the cables connected to the induction coil. This increases the field gradient and enhances the glow. For more information on this setup see coil resonance experiments. 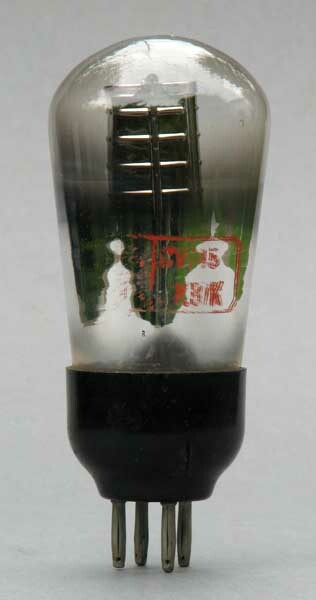 Close-up of the glowing tube with camera adjusted to avoid over-exposure. The magenta colour is typical of a low-pressure argon fill. 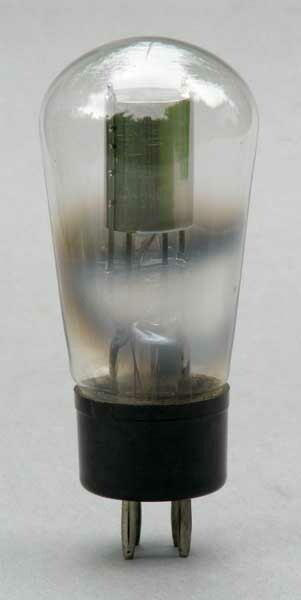 Voltage regulator with auxiliary priming anode. Bulk gas discharge at radio frequency. Obtained in the same way as for the S130 (above). It's a fair bet that the gas fills for both tube types are exactly the same. Photographs above &COPY; Andy Cowley M1EBV 2008. Below: S130P operating at 20 mA DC with a 2.2 kΩ ballast resistor. 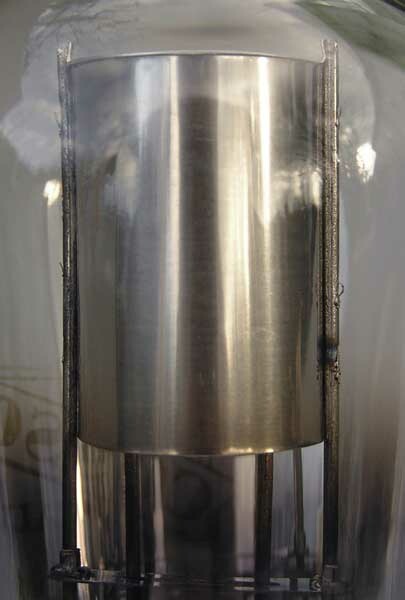 The voltage across the electrodes is 107 V. The main anode at the centre is made from metal gauze. The priming anode is simply a wire brought close to the cathode. &COPY; D. W. Knight 2013, &COPY; Andy Cowley 2008.